Why should you get a commentary on Daniel anyway? If you’re going to study or teach from the Book of Daniel, you need to be prepared to interpret some challenging passages. In fact, there are two huge reasons you should be using a good commentary when studying Daniel. The first half of Daniel has a few strange dreams and visions sprinkled throughout the stories. And the last half of Daniel is almost entirely an account of significant dreams and visions the prophet Daniel saw. These visions involve the changing kingdoms of men and the coming steadfast kingdom of God. Why you’ll need a commentary: The dreams and visions in Daniel are drenched in symbolism. You’ll find dreams about winged lions, layered statues, monstrous beasts with talking horns, and other vivid visuals. That means that there has been a great deal of debate through the ages about exactly what some of these prophecies were about. Some people believe that they’ve all come to pass. Some believe that these dreams refer to specific events in our future. Some believe that these prophecies repeat themselves through the centuries. You don’t want to study or preach from Daniel relying only on what you’ve always heard. You need decent commentaries to help you navigate how the Church has handled Daniel’s prophecies through the ages. They will help you avoid falling into errors in interpretation. The events in Daniel focus on a few Israelite exiles living in Babylon. Daniel and his friends are thrust into a world of new laws, new worship practices, new political systems, and new ethical dilemmas for the people of God. Why you’ll need a commentary: If you’re going to study or teach the Book of Daniel, you'll to need to understand how the culture of Babylon would have clashed with Daniel’s culture and religion. A commentary will not only point out what’s going on in specific passages, but it will also show you why that passage is significant within its historical and cultural context. Here are three commentaries we recommend, from in-depth commentary to a basic overview. This Christ-centered commentary takes a look at Daniel as a whole and then drills down into the narratives and visions of the book. Steinmann recognizes that over the millennia, various groups have used the apocalyptic prophecies in Daniel to further harmful theologies—and their own ends. But this commentary instead focuses on what Daniel contributes to the story of the Gospel. Steinmann maintains that the Book of Daniel is about Christ, the salvation He accomplished by His cross, and the eternal glory He promises His redeemed people. If you use the Concordia Commentary Daniel to teach or study the Book of Daniel, you’ll follow the most consistent Old Testament presentation of the Gospel through Daniel’s twelve chapters. You’ll see how God protects and keeps His people through Babylonian captivity and teaches them to anticipate Christ’s first and second comings. It puts Daniel in context of the whole Gospel story. It allows Daniel to speak for itself, rather than through the lenses of popular end-times theories. It focuses on Christ’s work in the past, present, and future. It is specifically written to help pastors and teachers interpret the Book of Daniel and pass that knowledge to others. If you’re studying the Book of Daniel for the first time, this is an excellent resource. The People’s Bible Commentary puts Scripture and commentary side by side, so you can follow Jeske’s explanations of the text while you’re reading through Daniel. This is a commentary that anyone can pick up and use to start understanding Daniel better. Jeske doesn’t assume that you’re already familiar with the ins and outs of Jewish history, Old Testament prophecy, and eschatology—you as a reader can jump right in. It makes one of the most challenging books of the Bible approachable to anyone. It puts commentary and Scripture (NIV) side by side for easier understanding. It includes maps and charts for reference (which is important for understanding Daniel’s historical and geographical settings). If you’re going to study Daniel, you will want to understand Daniel in the context of the other Old Testament prophets. Kretzmann’s commentary on the Old Testament gives you a high-level understanding of both Daniel and the surrounding books of the Bible. Don’t let the publishing date fool you: this commentary was written to focus on the Bible and not get sidetracked by academic or technical interests. That means if you want big-picture clarity on the Book of Daniel and the latter half of the Old Testament, this is a volume you should consider. It draws insights from Martin Luther and other faithful Lutheran scholars. It focuses on clarity and simplicity (which is great for finding ways to explain difficult passages from the pulpit). Looking for even more ways to study the Bible? 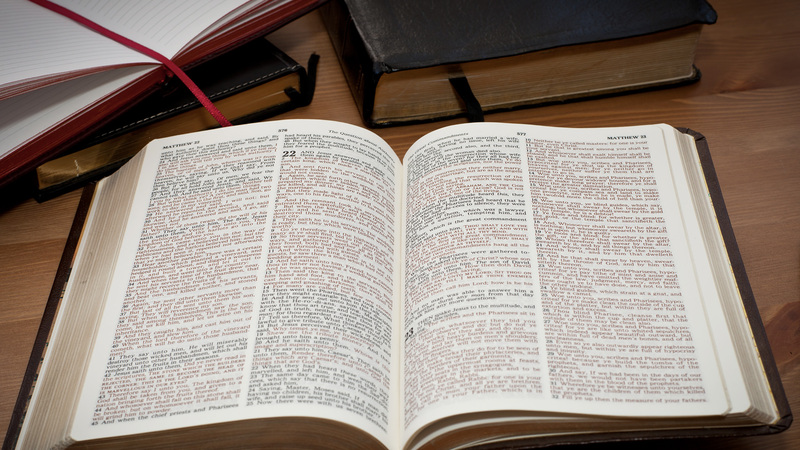 Check out our complete collection of Bible Study resources on our website.